When you are following a weight loss management program but you seem to find it difficult to shed those unwanted pounds, you should go to a Denver weight loss facility or center. This facility will help you succeed in sticking to and attaining your weight loss goals. There are also other benefits of enrolling in such a clinic in Denver, Colorado and this article will focus on them. One of the best things about being in a Denver weight loss facility is the personal support you get. If you find yourself withdrawing from your weight loss plan, someone will be there to lead you back. He or she will offer a firm advice that would encourage you to once again stick to your goals. It is normal for people to be discouraged or less motivated and when you are in such a state often, this can break your weight loss plan. Some people also feel alone when they try to lose weight on their own but with a weight loss clinic, this would not be much of a problem. Another benefit of enrolling in a Denver weight loss facility is the guidance you get. The people in the clinic will help you in your program and will see to it that you follow your plan religiously. People without a structured plan are likely to quit their program as they do not have a clear view of their direction and goals. Moving forward is easier when you know what route to take to reach your target. A weight loss clinic in Denver, Colorado will also help you in creating and preparing meal plans that is in line with your diet. The clinic would be able to guide you and offer advice on the kind of food you should take or stay away from and the number of calories you should consume every day. Along the way when you have queries about your program, you know there is always someone there who can professionally answer such doubts. The biggest benefit of a Denver weight loss facility is the regular check-ups you have. Weight loss management programs usually provide you with a plan that you need to follow to reach your desired goals. For a plan to be successful, it has to be adjusted every now and then because the body easily adapts to change and then reaches a plateau. This can be very frustrating thus you lose the drive to stick to your goals. When you are in a weight loss clinic in Denver, CO, your plan would be adjusted and redesigned if needed so that you will continuously lose weight. This shall help ensure that you will reach your weight loss goals along the way. 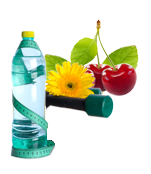 Losing weight needs guidance and motivation and these are given by a weight loss clinic in Denver, Colorado. Enroll now in a Denver weight loss facility and you will witness for yourself an easy way to stick to your weight loss management program until you see your desired result.